In a Nutshell: As the largest university-based credit union in the world, Michigan State University Federal Credit Union (MSUFCU) provides financial services to more than 265,000 members. The credit union also elevates community support and employee volunteerism as core values, donating millions in financial resources and well over 1,000 employee volunteer hours each year to help the communities served by its 18 branches. For building a workplace culture where employee-approved corporate philanthropy, financial education, and volunteerism go hand-in-hand with providing superior member services, MSUFCU has earned our Editor’s Choice™ Award for Community Involvement. 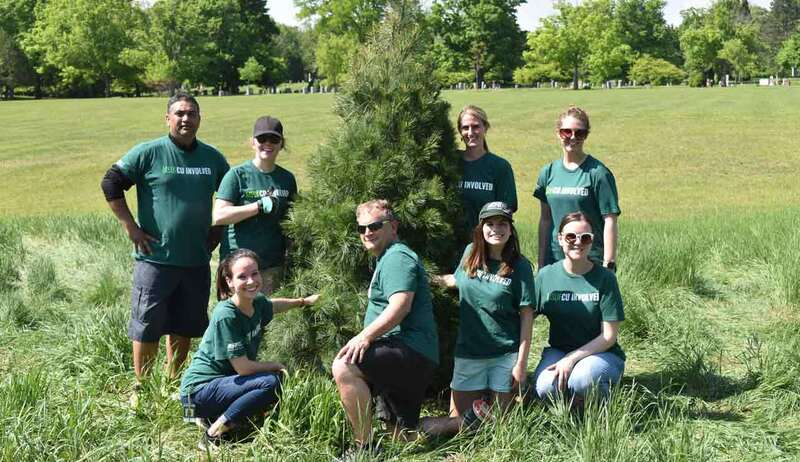 As the summer of 2018 was heating up in central Michigan, Michigan State University Federal Credit Union (MSUFCU) employees got together to plant trees and provide much-needed shade at the Evergreen Cemetery located in Lansing. It was the latest event organized by the ongoing partnership between MSUFCU and the Michigan Arbor Day Alliance (MADA) to teach local students the importance of forestry and natural resources. That partnership has been responsible for planting more than 600 trees in Greater Lansing since 2011. In connection with the event, MSUFCU also donated $2,000 to support MADA — something the credit union does each year. It also sponsors annual MADA events including the Fifth Grade Arbor Day Poster Contest, which invites students to design posters around Arbor Day themes and displays the results at Michigan’s state celebration. When it comes to philanthropy and volunteerism, however, MSUFCU’s partnership with MADA is just one of many. That’s because the credit union puts community service — and a commitment to financial education — on the same level as its mission to help more than 265,000 members achieve their financial goals. MSUFCU employees planted trees in partnership with the Michigan Arbor Day Alliance. “Giving back to our communities is one of MSUFCU’s core values. Since the beginning we’ve invested in our employees and communities,” Davis said. With more than $4.1 billion in member assets, MSUFCU also makes a significant impact beyond community service. In fact, it’s the largest university-based credit union in the world. MSUFCU was founded during the depths of the Great Depression, and extending support to the communities its 18 branches serve is a part of its organizational DNA. For investing its time and resources in creating places where people are proud to live and work, MSUFCU has earned our Editor’s Choice™ Award for Community Involvement. 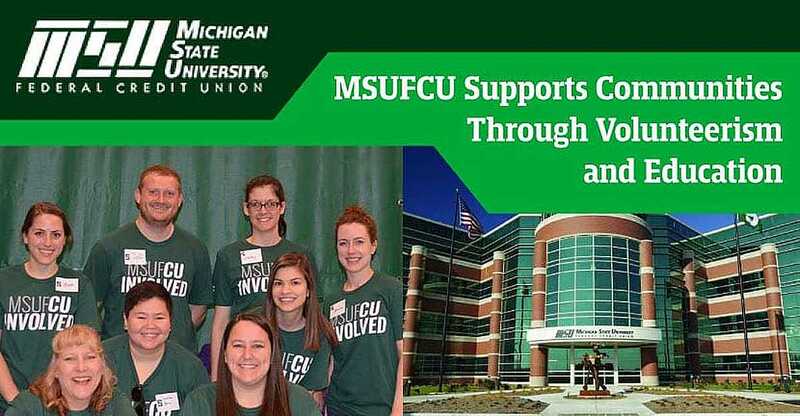 Although MSUFCU has long donated employee-raised funds and volunteer time to its charity partners, the credit union created the CU Involved program in 2017 to better coordinate those efforts. CU Involved establishes goals, facilitates fundraisers, and also manages employee incentives such as Volunteer Time Off (VTO), volunteer kickoff, and appreciation breakfasts. 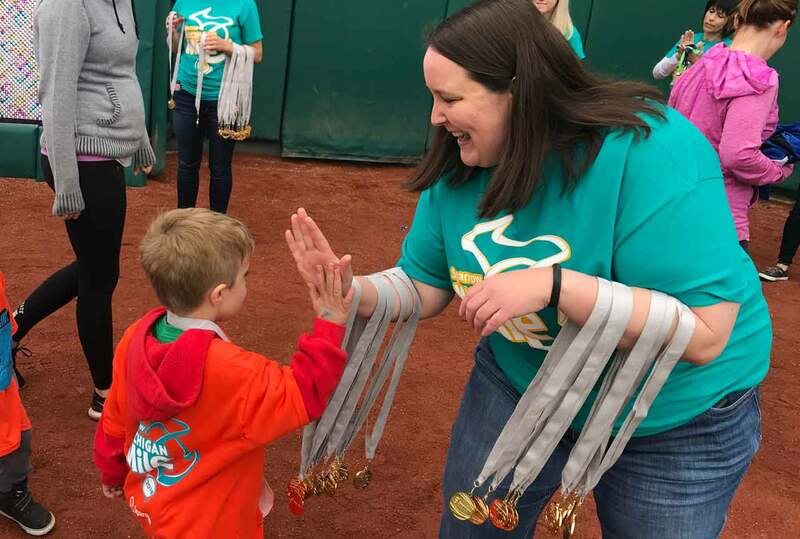 “During our kickoff parties, employees meet with representatives from local charitable organizations, learn about volunteer opportunities, and make pledges to volunteer,” Davis said. MSUFCU employees made nearly 350 volunteer pledges to 20 organizations in 2017. The program also oversees MSUFCU’s annual selection of charity partners, which this year includes Court Appointed Special Advocates (CASA), Kids’ Food Basket, Lighthouse of Oakland County, and Capital Area United Way. MSUFCU works with a group of charity partners each year to give back to the communities it serves. MSUFCU also provides no-cost financial education to community members of all ages to help them make informed decisions about their economic well-being. In 2016, the credit union opened its Financial Innovation and Education Center to house its financial education and member relations departments. The Center is located close to Michigan State University, which sends many interns to MSUFCU. One of the interns’ responsibilities is to help maintain and create content for MSUFCU’s Financial 4.0 app and website that cover financial topics, provide free resources, and hold contests aimed at helping college-age students improve their financial literacy. MSUFCU also offers seminars and events to educate community members of all ages on finances. Session topics include budgeting, homebuying, retirement planning, identity theft protection, and credit report awareness, among others. “Although most people make and spend money every day, they don’t always understand general financial concepts or how to improve their financial standing,” Davis said. That’s why MSUFCU continues to increase the number of seminars and events it offers. In addition, it engages in various community partnerships to deliver those resources to all age groups regardless of financial standing. The credit union accomplishes that through programs like its Financial Reality fair that teaches financial concepts to youth and adults through real-life examples. The MSUFCU financial education team has held more than 650 presentations so far in 2018, and over 15,300 community members have attended those events. “By empowering individuals to learn about their finances, MSUFCU helps individuals achieve the financial freedom necessary to fulfill their dreams — to buy a car, become a homeowner, or even save enough to take the trip of a lifetime,” Davis said. MSUFCU-sponsored community events range from arts and cultural events to festivals and programs at Michigan State University and nearby Oakland University. The credit union also participates in dozens of local race fundraisers each year, which, in addition to its tree-planting events, are great excuses to get outside. The credit union was founded on the philosophy of people helping people, and it has embraced its role as a community leader by supporting the communities where members and employees live and work. Not only do these efforts fulfill MSUFCU’s core value of giving back, but they also increase the pride members and employees feel for their communities — while transforming those communities into centers of opportunity for all. For donating time and financial resources to help people from all walks of life achieve their dreams, MSUFCU has earned our Editor’s Choice™ Award for Community Service.